The BND, a German intelligence agency, has been given the power to control prominent internet sites if Berlin advises it to do so out of security concerns, according to a federal court ruling. The ruling comes in response to recent accusations by De-Cix exchange, a major global internet site, of the BND foreign spy service illegally, as they put it, tapping the nation’s domestic as well as international data. Nevertheless, the Leipzig court ruled otherwise: internet hubs "can be required" by authorities to "assist with strategic communications surveillance by the BND." De-Cix essentially took the case to court having acknowledged that its Frankfurt hub had been accumulating data flow from a wealth of regions, including China, Russia and the Middle East among others, adding that the BND, which is partnered with the US NSA in a number of ventures, had facilitated unlimited tapping by placing Y-piece prisms into its data-carrying fiber optic cables. Meanwhile, merely firewalling German message exchanges is deemed next to impossible given the massive load of daily phone calls, emails and chats involving Germans and other nationals. The 2013 revelation by former National Security Agency contractor Edward Snowden that US intelligence services had kept allies under surveillance, including Chancellor Angela Merkel personally, sparked a heated parliamentary debate in Germany. Over three years of work resulted in a report that detailed the BND’s cooperation with the NSA and their monitoring of European allies by using, among other methods, so-called "selectors," which is a search term associated with dragnet surveillance. Separately, the investigation also covered the issue of whether the US had piloted combat drones that took off from its bases in Germany: the allegation was never proven, but the report stated that the German authorities were inclined to "look the other way." 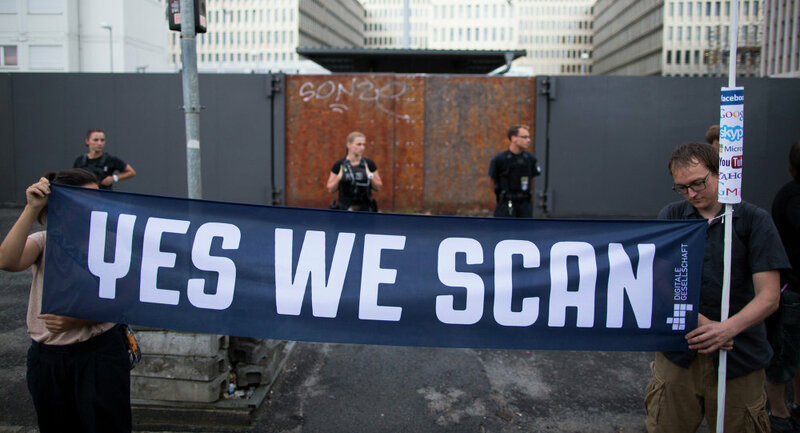 In the wake of the scandal, in 2016, German legislators approved an array of new measures to reportedly harness the BND’s powers.